Prabhakar is an investor at Accel, and is a serial entrepreneur with over a decade of experience running successful digital media and online video platforms, having scaled his first startup into the top 100 websites in the world within three years of inception, and successfully exited his second startup to BookMyShow, India's largest entertainment platform, prior to joining Accel. At Accel, Prabhakar focuses on Blockchain and Enterprise SaaS investments. An electronics engineer by background, Prabhakar also has an MBA from Harvard Business School. 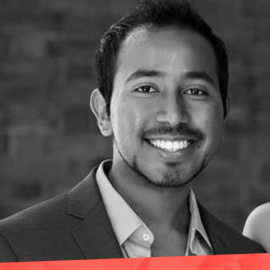 Prabhakar is an active advisor to several blockchain startups such as Nucleus Vision, Agora, Akropolis, Republic Protocol, amongst others.